Flower Travel is the authorised agent in Australia for Trans-Siberian experts, The Russia Experience. We book an extensive range of rail trips through Russia, Mongolia and China. You will find a complete list of all of our trips here. 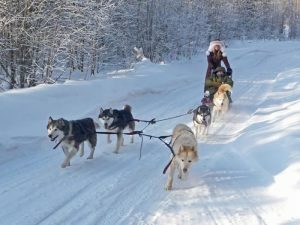 If you see a trip that interests you then please click on the map and you will be taken to a detailed day by day itinerary with price guides and departure dates. Most of our trips are valid from Moscow to Beijing and vice versa and all can be combined with our St Petersburg add on. All our trips are individual itineraries, not group departures. So all departure dates are based on the services of Russian, Mongolian and Chinese trains and our trips are never cancelled due to ‘lack of numbers’. We also represent private trains in Russia/Mongolia that offer a more comfortable experience on the trans-Siberian line. Thanks for organising a great trip. It was our first “freezing cold" holiday, which we really enjoyed. It's given us a few ideas for the future and we'd like to go back to some of the places in the warmer months. 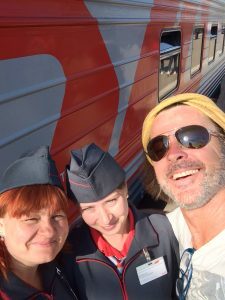 Hello Heidi, I had a fantastic time on the train, the late night train stations, the breaks in Mongolia, the people, the food, the vodka, everything. I wrung every last bit of experience from that trip and I had a real hoot! Got a selfie with the cabin attendants before I left Moscow even….they were great from then on! All in all the trip, accommodation and guides exceeded our expectations. Just leaving russia. We have had a fantastic time - thanks for your help in organising it. All in all the trip, accommodation and guides exceeded our expectations. The trip was excellent with seamless arrangements throughout. Thank you - we had an absolutely fantastic time. 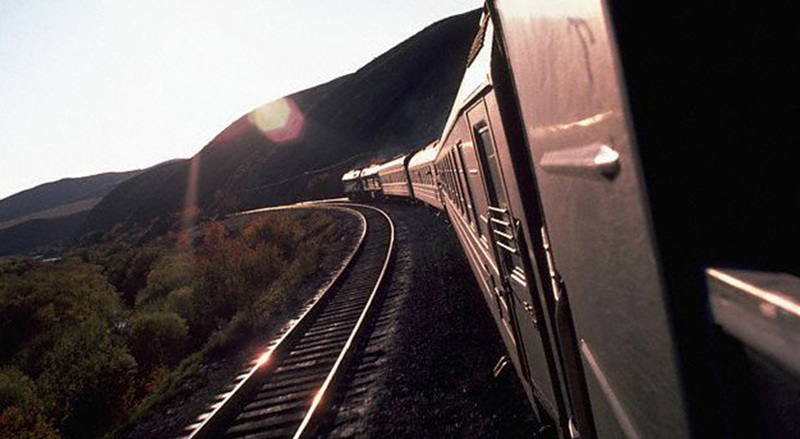 We would thoroughly recommend Flower Travel to anyone planning on doing the Trans-Siberian. It was so convenient having our guides meet us on the platforms and give us our tickets along the way. It just made everything so smooth and was nice having an English speaking person to meet us. We had identical itineraries with another couple who booked through you, so we felt like we were a little team of four the whole time! It was good for security at times! All up one of the best holidays we've had so thanks to you for getting it all prepared. Thanks so much for helping to make it happen. Trip was fantastic. Thanks so much for helping to make it happen. Overall, super happy! We usually travel pretty independently so it was weird to give up the reins and just go with it, but being collected from the stations, etc, was super handy, especially in countries like Russia, and I would recommend Flower Travel completely. I realise I wrote an essay, so just wanted to make sure you know: this trip was EXCELLENT! But I wrote a lot of comments because I figure the more input you guys have, the better!!! We did have a wonderful time and I would recommend doing this to anyone interested in visiting!! All our 'buddies' were good and helpful. We were a little unsure of catching the trains in St Petersburg and Harbin but we were successful each time. Even with daytime temperatures of -26C in some places we really enjoyed ourselves. I have no reservations in recommending your company to others for their travel as you were very prompt in replying to my questions right through to our departure and there was no problems with travel tickets and accommodation. Wow Wow Wow. What an amazing adventure. Everything you organised was absolutely brilliant and it ran without any hiccups. Also I commend you on the selection of the local agencies that you use. The friendliness of our local guides and their dedication in ensuring that had the best possible experience whilst we were in their location was exceptional. Your choice of accommodation is also to be commended, great central locations with easy access to transport and many attractions / eateries within walking distance. Thank you, thank you, thank you for creating such an incredible journey that forever will be a highlight amongst our travel experiences. Thank you so much for arranging such an amazing trip. It certainly was a memory of a lifetime, with swimming in Baikal (although very briefly! ), the views from Beijing to UB and across Siberia, the culture and architecture of St Petersburg and Russia and the atmosphere of Beijing! The organisation of Flower Travel and the reciprocal companies in Russia, Mongolia and China made this such an easy trip, and the fact that you organised all of the visas simply made this a dream. All of us loved the trip and are still talking about it and making people jealous. I have mentioned your name to a number of people and those who are thinking about travelling all have your details. I would recommend a day trip to the Hutong area of Beijing for those who have the extra day, and also that there is an amazing museum in Yekaterinburg of old cars and also military history of Russia. We spent about 3 hours in the military section alone and thoroughly recommend it. Again, thank you so much for all of your work in preparing our trip for us.